We have talked a lot about the impact that salmon farming has on salmon, but sadly it is not just farmed salmon that are negatively impacted by the salmon farming industry in Scotland. Here are five other animals that can be impacted by salmon farming in Scotland. Scotland is home to grey, and common seals. Salmon farms attract seals both because of the fish in cages, and also because of those that are attracted to the outside of cages. Sometimes seals will eat some of the salmon held on farms, and to stop this from happening salmon farmers can legally shoot seals, as long as they have a licence from Marine Scotland to do so. In 2017, 49 seals were shot on salmon farms. Shooting seals has obvious negative welfare impacts, particularly if the animal is not killed instantly; and if mothers are shot it leaves dependent pups vulnerable. A recent documentary released by Lush earlier this month went into detail on this issue, and here at OneKind we have long been campaigning for a ban on seal shooting. In Scotland, we are lucky enough to have many species of dolphins and porpoise visit, or reside in, our waters. Currently, the main threat to cetaceans from salmon farming is the use of acoustic deterrent devices (ADDs) which are devices that emit high frequency sound in an attempt to deter seals from farms. Research shows that there is doubt over the long-term effectiveness of ADDs to deter seals, with some suggestion that they may in fact act as a “dinner-bell” to alert seals to the location of fish. 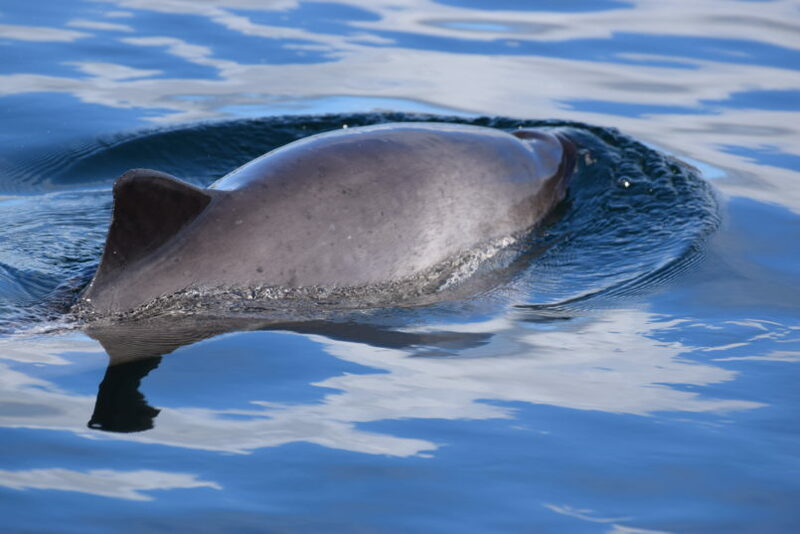 There is however convincing evidence of the detrimental impacts that they can have on cetaceans, notably harbour porpoise, but also minke whales. Research shows that the use of ADDs can lead to the exclusion of harbour porpoise from otherwise optimal habitat, and there is evidence that they can cause hearing damage. Recent research, published in late August this year shows that between 2006 and 2016, there was an increase in ADD noise detected, along the Scottish west coast. Data published through freedom of information requests also shows that in 2017, 121 salmon farms were licensed to use ADDs. 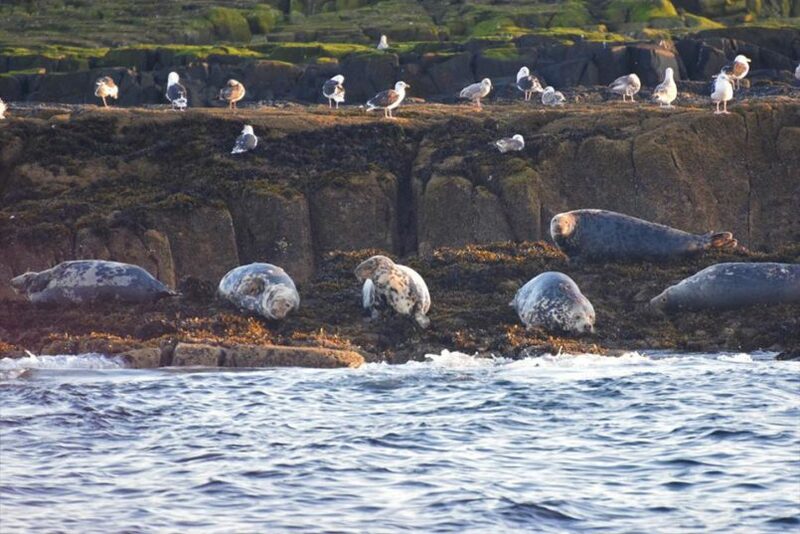 Because of these negative impacts, there has been a new petition launched by Sea Life Adventures to protect Scotland’s seals and cetaceans from the negative impacts of salmon farming. 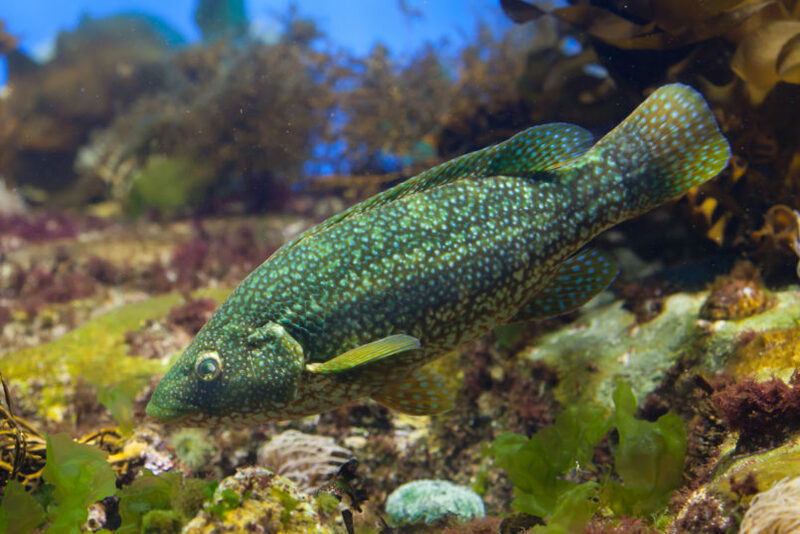 The term “cleaner fish” is an umbrella phrase that includes lumpsuckers and wrasse species, that are used by the salmon farming industry to pick off and eat sea lice from salmon. Their use is increasing following environmental and efficacy concerns over chemical treatments for sea lice. Indeed, in 2016 1.5 million cleaner fish were used, and it is estimated that by 2020, 10 million cleaner fish will be required by the Scottish industry. Despite their popularity, there are a lot of research gaps over the use of cleaner fish. Their biology and welfare in captivity is, generally, poorly understood, and they can suffer from many of the same things that farmed salmon suffer, including disease, sea lice, and aggression. Because of this, cleaner fish mortality rates are likely to be high, with few cleaner fish surviving the whole production cycle. However, cleaner fish mortality data is not sufficiently collected by the salmon farming industry in Scotland so it is difficult to ascertain the true scale of the issues they face. There is increasing evidence to link the declines in the numbers of wild salmon and trout in Scotland with the presence of salmon farms. Some suggest that sea lice and disease originating from salmon farms can harm wild individuals, possibly leading to population declines. The escape of farmed salmon can also impact wild populations, as it leads to both competition between farmed and wild individuals, and there is suggestion that escaped farmed salmon can interbreed with wild individuals, which may produce offspring that are less likely to survive in the wild. Salmon farming also impacts wild fish as salmon are carnivores, meaning that their food needs to contain a high protein content. 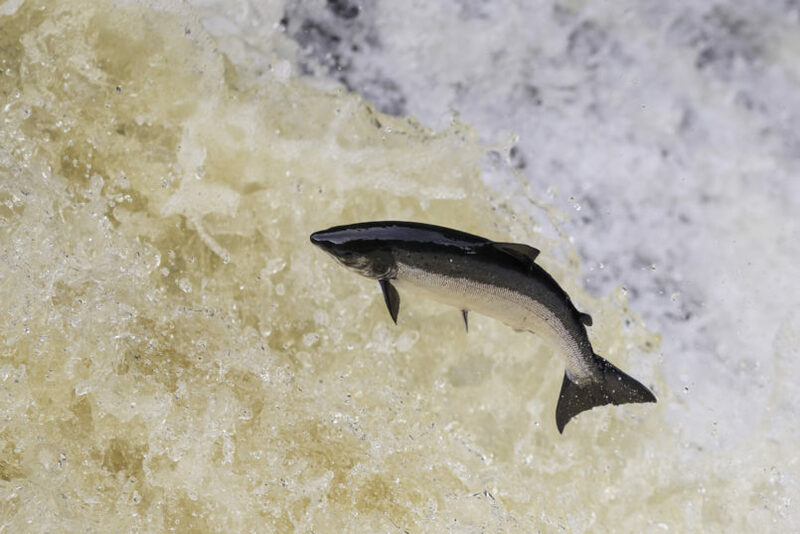 Currently, it is estimated that between 20-25% of salmon food in Scotland is made up of fish feed and oils. Catching wild fish for salmon food can cause welfare problems during the capture of fish itself, and during slaughter. “The evidence suggests that benthic crustacea may not be adequately protected by the current regulation of emamectin benzoate use in Scottish salmon farms”.